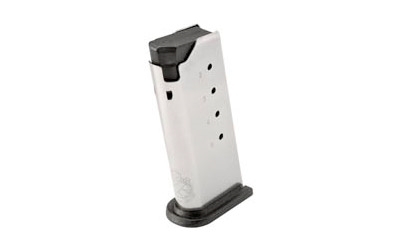 This is a factory Springfield Armory XD-S 9mm Luger Magazine. This magazine features a 7 round capacity constructed from Stainless Steel. It features a polymer base plate, polymer follower, and fits flush. The magazine is made to the same specifications and features as the magazine that came with your firearm. © 2012 Golden State Tactical. All Rights Reserved.